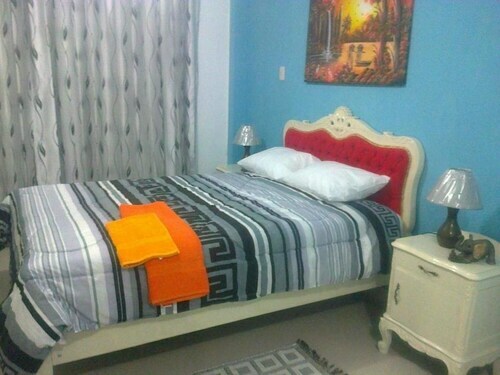 Situated near the beach, this bed & breakfast is 0.4 mi (0.7 km) from Mall Aventura Plaza and 1.4 mi (2.2 km) from Trujillo Plaza de Armas. Huaca La Esmeralda and Cassinelli Museum are also within 1 mi (2 km). 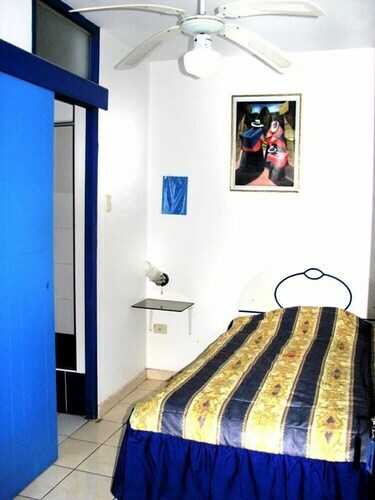 Situated in Trujillo, this hostal is 0.7 mi (1.1 km) from Cassinelli Museum and 1.3 mi (2 km) from Trujillo Plaza de Armas. Mall Aventura Plaza and Huaca La Esmeralda are also within 1 mi (2 km). 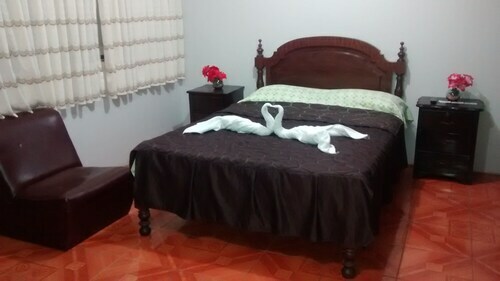 Situated in Trujillo, this guesthouse is 0.6 mi (1 km) from Mall Aventura Plaza and 1.9 mi (3 km) from Trujillo Plaza de Armas. Huaca La Esmeralda and Cassinelli Museum are also within 2 mi (3 km). 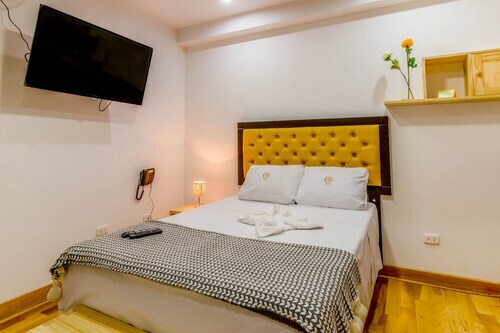 Situated near the beach, this hotel is 0.8 mi (1.3 km) from Huaca La Esmeralda and 1.7 mi (2.7 km) from Trujillo Plaza de Armas. Mall Aventura Plaza and National University of Trujillo are also within 1 mi (2 km). 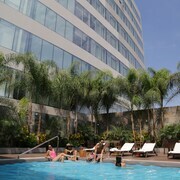 Situated in Trujillo, this hotel is 0.8 mi (1.3 km) from Huaca La Esmeralda and 1.7 mi (2.7 km) from Trujillo Plaza de Armas. Mall Aventura Plaza and National University of Trujillo are also within 1 mi (2 km). 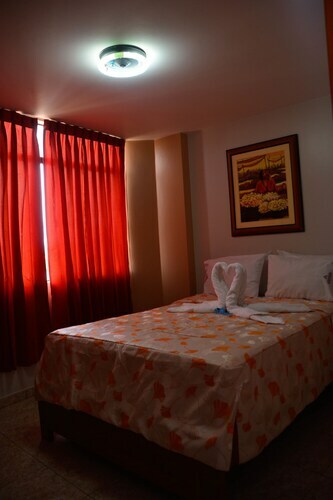 This family-friendly Trujillo hotel is located near the airport, within 1 mi (2 km) of Cassinelli Museum and Trujillo Plaza de Armas. Coliseo Gran Chimu and Mansiche Stadium are also within 15 minutes. 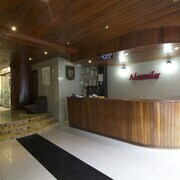 Situated in Trujillo, this hotel is 0.8 mi (1.3 km) from Huaca La Esmeralda and 1.8 mi (3 km) from Trujillo Plaza de Armas. Mall Aventura Plaza and National University of Trujillo are also within 1 mi (2 km). 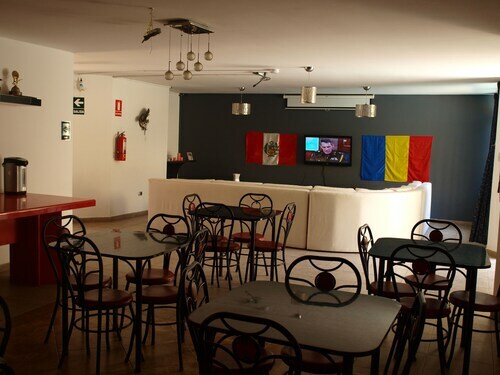 Situated in Trujillo, this hostal is 0.9 mi (1.5 km) from Mall Aventura Plaza and 2.2 mi (3.5 km) from Trujillo Plaza de Armas. Huaca La Esmeralda and Cassinelli Museum are also within 2 mi (3 km). 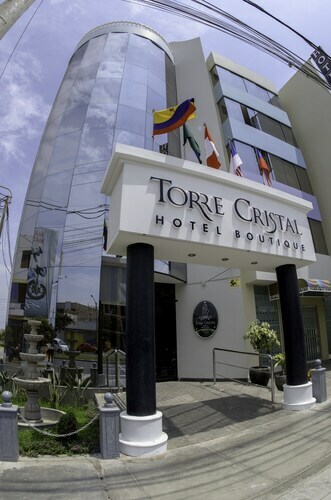 Situated in Trujillo, this hotel is 0.7 mi (1.1 km) from Cassinelli Museum and 1.3 mi (2.1 km) from Trujillo Plaza de Armas. Coliseo Gran Chimu and Mall Aventura Plaza are also within 1 mi (2 km). Situated in Trujillo, this hotel is within a 15-minute walk of National University of Trujillo and Trujillo Plaza de Armas. Church of Santa Ana and Cassinelli Museum are also within 15 minutes. 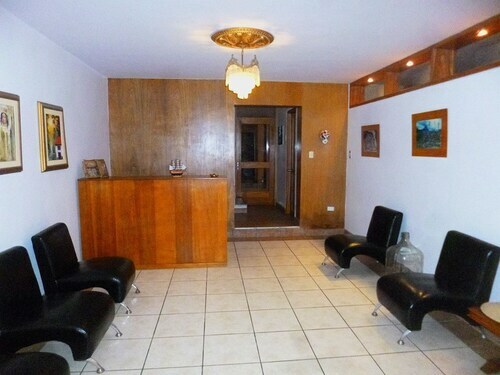 Situated in Trujillo, this hotel is within a 15-minute walk of Cassinelli Museum and Trujillo Plaza de Armas. Coliseo Gran Chimu and Church of Santa Ana are also within 10 minutes. 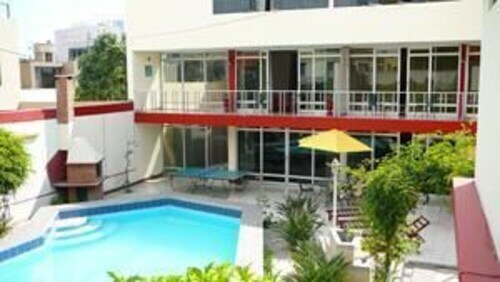 Situated in Trujillo, this aparthotel is within 1 mi (2 km) of Coliseo Gran Chimu and Trujillo Plaza de Armas. Mansiche Stadium and Cassinelli Museum are also within 10 minutes. History comes alive before your eyes at Huaca La Esmeralda! Always been interested in visiting Trujillo? Here's your chance to find out what everyone's raving about! You don't have to trek too far to find a place to lay your head. There are 38 options within an easy drive of Huaca La Esmeralda. 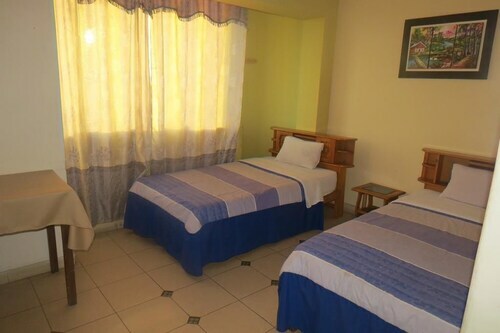 The Hotel Libertador Trujillo (2 kilometres), the Los Conquistadores (2 kilometres) and the Hotel El Gran Marqués (2 kilometres) are all excellent choices. Looking to get all you can out of your travel dollars? This region boasts some very affordable hotel options. 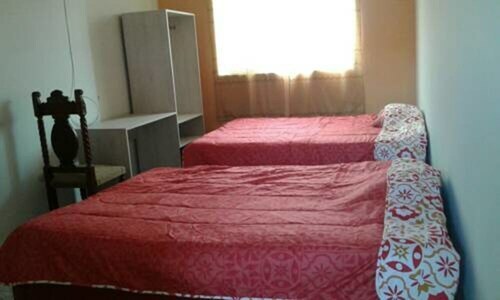 You'll be sure to have a good sleep at the Munay Wasi Hostel or the Hostel Cocos Beach. Travellers wanting to spoil themselves should check out the Wyndham Costa del Sol Trujillo, a plush, luxury hotel 4 kilometres away. Before you spend the day at Huaca La Esmeralda, follow the allure of freshly ground coffee to Juan Valdez Trujillo. Wander over to Papa John's Pizza to have a big meal. As evening sets in and you're thinking about a drink, head to Tambo 7 - Bistro & Bar. Stop and grab a snack or hunt for a bargain at Mall Aventura Plaza. Try not to use up all your savings at Aventura Plaza Trujillo Mall. Head to National University of Trujillo and discover what's so special about this historic campus. Check out Church of Santa Ana, a renowned sacred space. Understand the beliefs, rituals and customs of the local people who gather at Church of the Company. How Much is a Hotel Room in Huaca La Esmeralda? 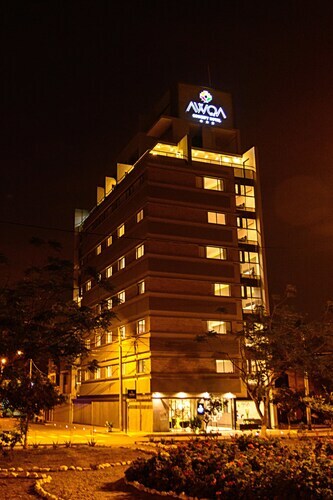 Hotels in Huaca La Esmeralda start at AU$28 per night. Prices and availability subject to change. Additional terms may apply.